We always hear that Jesus is our cornerstone, and He most certainly is! He is the rock on which we stand. But did you know, daughter of the Most High God, that you are a cornerstone yourself? Did you know that God can and will readily use you for His glory? He will pour in His kindness, mercy, grace, and love to overflow from you! In order for Him to do this, you must be totally willing to surrender your life to Jesus and be obedient to His Spirit. Here’s the thing: you can either be used as a foundation for the world and its ever changing standards of morality, truth, and beauty–or you can be a foundation for the One who never changes. We live in a fallen world that is filled with violence, hatred, disease, perversion, and lies. However, as women of God, equipped with the Bible and the Holy Spirit, we can overcome the world just as Jesus has! 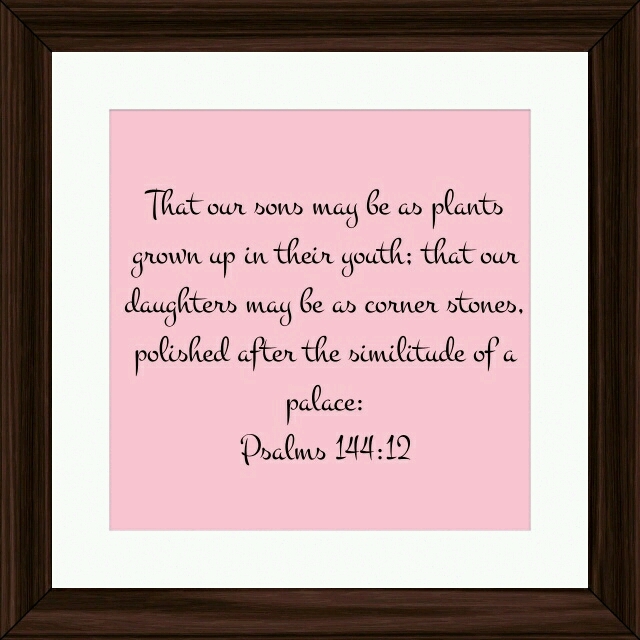 Young ladies please meditate over these verses. You have a choice to make. God wants to use you to advance His kingdom and show the world His glory! There are many things you can be in this world. I choose to be a woman of God–a cornerstone who is beautiful, loving, merciful, humble, gentle, courageous, and kind to all. Who will you choose to be?